Israel's new ambassador to the UK takes a stand on the rising anti-Semitism expressed by some members of Britain's Labour Party. Painter Jonasz Stern left a permanent mark on the Polish art of the 20th century. Showers installed in front of Auschwitz are simply a 'public safety measure' to ward off the summer heat, says the museum. New Holocaust denial film, "The Gas Chamber Hoax" is on YouTube. That library inspector on the Seinfeld show was right – first it's overdue books not being returned, next the Apocalypse. 'Son of Saul's' riveting plot brought a first-time Oscar for a Hungarian film, by a first-time director. 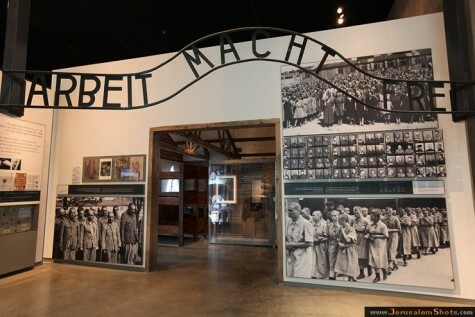 Filmmaker Steven Spielberg is establishing a Center for Advanced Genocide Research at the University of Southern California. 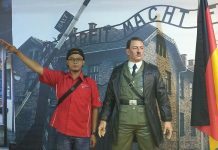 Hitler is presented as an appalling hypochondriac who abused laxatives and suffered from stomach cramps and embarrassing flatulence. Lithuanians marked the 75th anniversary of the massacre of Jews in Moletai by Nazis and local collaborators during World War II. 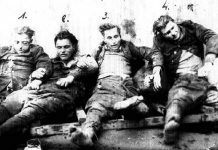 It appears that Poles are convinced the world owes them an apology for their collaboration with the Nazis as well as for murders of Jews they initiated themselves. “Elie Wiesel was the collective moral compass of the Jewish people,” said Jewish Agency chairman Natan Sharansky. Saul Kagan founded the Claims Conference, which brought in tens of billions of dollars in payments to survivors of the Holocaust. He also helped found Yad VaShem in Jerusalem. European Parliament President Martin Schultz is one of two recipients of the 2016 Medal of Tolerance for his commitment to preserve the memory of the Shoah. We are concerned that this law will have repercussions in the areas of Holocaust research, education and remembrance. Say what you will, the man has great writers and – crucial – can deliver a line. 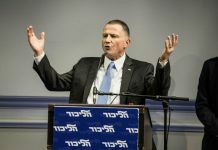 Edelstein in Europe: Never Again! ¡Nunca más! Plus jamais! Mai più! Nie wieder! What has been learned from all the memorials if synagogues across Europe need round-the-clock protection? It is a typically edifying poem of the sort that was often written in "poezie albums," exhorting the owner to do her best and be diligent at work. 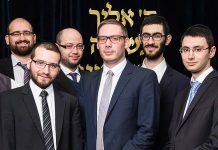 "The fact that Berlin – the place where deportations and extermination was planned and decided – is once again home to the largest Jewish community in Germany, is ... an undeserved gift." Rouhani will address UNESCO, the United Nation's science and culture organization, on International Holocaust Remembrance Day.